Sotheby’s International Realty brand is a global leader in luxury real estate throughout the world. My team http://www.elizabethwynn.com/ is specialized in luxury properties in Los Angeles, California for Chinese clientele and Southeast Asia international investors. We provide clients with the finest personal service, discretion, and commitment. Sotheby’s International Realty has a history of record breaking sales with billions of dollars of sales each year. Какие качества характера помогли вам стать успешным? Как вы развивали и совершенствовали в себе эти качества? Most of my new business comes from referrals, and I differentiate myself by the breadth and quality of the services I provide. Gaining the trust and confidence of a client is critical to every successful relationship and transaction, and this can only be achieved through effective interpersonal skills. Knowledge, passion, a strong work ethic, being a team player, and, above all, integrity. 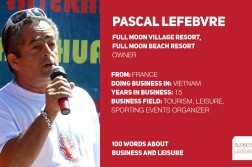 If you can demonstrate these abilities you can excel in any business you do. Наиболее эффективный способ провести свободное время с пользой это …. I am passionate about children and animals. As a founder of the non-profit http://togetheras1foundation.com/. I have traveled around the world on behalf of my non-profit foundation as a spokeswomen for several charitable alliances that deliver immediate and lasting improvement to children in need in the U.S. and around the world. When I am on the air that is when I can turn off the phones. That kind of quiet is so rare for me; I get to relax reading a book or listen to music while making the cross-country business trip. Ваше определение баланса в жизни и баланса между бизнесом и отдыхом? As you know, I mostly travel all the time meeting clients. I believe work-life balance is a state of peace where who you are and your enjoyment of your life is equal or exceeds what you do for your business. Sotheby’s purpose is to artfully unite extraordinary properties with extraordinary lives- servicing the needs of the most prestigious clientele in the world. 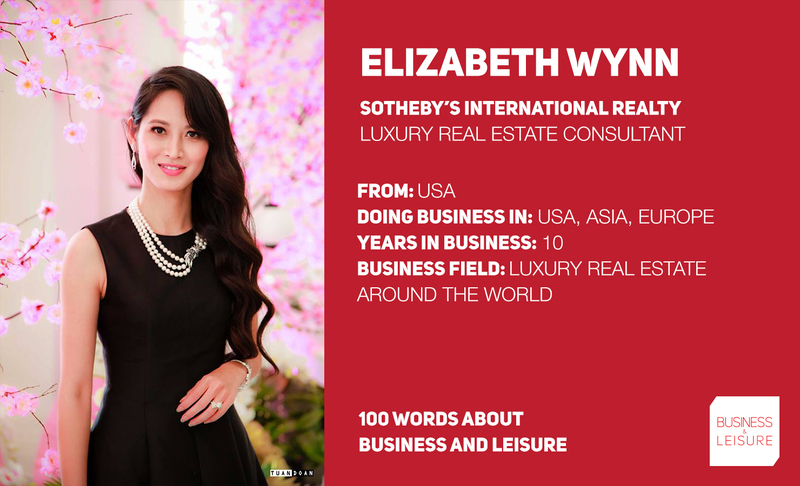 “Elizabeth Wynn is a stand-out agent who is dedicated to going the extra mile for her clients in every situation, in any country,” said Joseph R. Cilic, Senior Vice President & Branch Manager of Sotheby’s International Realty. Ваше любимое место отдыха, куда вам хочется возвращаться? Почему? My Home is my favourite leisure destination. It is a place that I would love to come home day after day. I like to spend quality time with my family, which in turn leaves me motivated to be productive the next day. It is a sweet spot where I can get everything done, maintain healthy relationships, a healthy mind and body. It’s about being so totally alive in the moment that work, relationships, spirituality, mission, responsibility, and opportunity blend seamlessly into one thing: LIFE. Любимый ресторан для семейного ужина I prefer my personal chef to cook for my family at most of the events & family get together holidays.